#tbt 8 – The ‘Whole’ Church. #tbt – Throwback Thursday, a look back at the story of the Christian Church and having a think as to what we can learn today from them. One reason I am getting more and more interested in church history is because it's an opportunity as you look into it to find out what stuff in church life is 'man-made' and what is 'God-made'. What practises, concepts, ideas, tactics and structures are from God, and what bits are from us (usually stupid) humans? Sometimes as we look into church history it's clear to see, other times it's a bit more tricky. Anyway, onward with this week's #tbt! Near the end of the first century, a guy called Clement wrote a letter from the church in Rome to the church in Corinth. At the time the Corinthian church had recently chucked out their leader and appointed a new one, which Clement felt as a bad idea as the leaders are God ordained and they needed to trust God in it. All sounds fine I right? 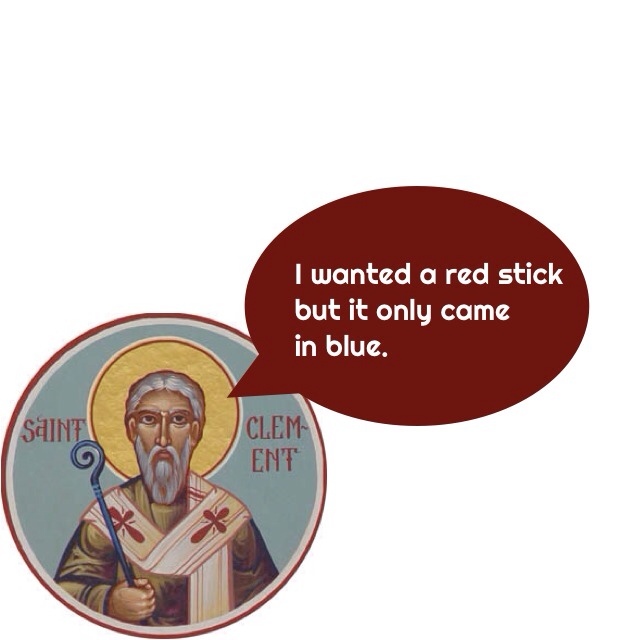 Well, I guess it would be fine if Clement hadn't assumed that he wasn't just sharing his opinion with the church, but he was actually an AUTHORITY in the situation. This is where it gets tricky. In his letter, Clement shared a translation of Isaiah 60:17 stating “I will establish their bishops in righteousness and their deacons in faith” (if you find that translation to be anything but inaccurate please do tell me!). Clement shared that ultimately the succession of the church leaders came down the line from Jesus, and with that, an 'organisation'-like feel across the world that linked the churches together. It was Ignatious of Antioch that first used the term Katholikos (take a stab at what word we use now! ), which meant universal, or global, or 'whole'. When we say the word 'Catholic' now, we get it mixed with 'Roman Catholic'. When we read the creeds and statement of faith that say 'we believe in the one catholic church', those of us who aren't Catholics needn't be confused, we are not speaking about the Roman Catholics, but speaking of the one, universal church. So what comes to mind as you read all this? Is it right to say and have one universal church? Should we just focus on our local churches and forget about the global aspect of the church? The word Catholic isn't mentioned in the Bible, so what does that mean for us? How much accountability and leadership should our churches and ministries take from other churches and ministries, whether the church is down the road from us, or on the other side of the world? For me and the church I am part of , we pursue unity amongst other believers and other churches. In the small town I'm involved in with our MultiSite we have launched, I am in good relationship with the other church leaders. For us, relationship is key. Strong bonds and relationships amongst other churches locally, nationally and internationally is deeply important. We are all on the same mission, let's encourage each other along the way! Accountability is also important, having other leaders and other churches we bond, link, support, encourage and share with is important (and I know our senior pastor does that). However! Authority across churches puzzles and confuses me a little. Authority is often different to accountability and relationship. Clement seemed to stamp an authority over a church that he was geographically far way from, and quite possibly emotionally and mentally some distance from also. I'm not sure if I agree with him doing that. As long as the church in Corinth had good accountable relationships with other local churches in the area, I'm sure they could support, help and support each other through difficult decisions like those that had been made, why did it need some authority to come in and state the 'rules'?